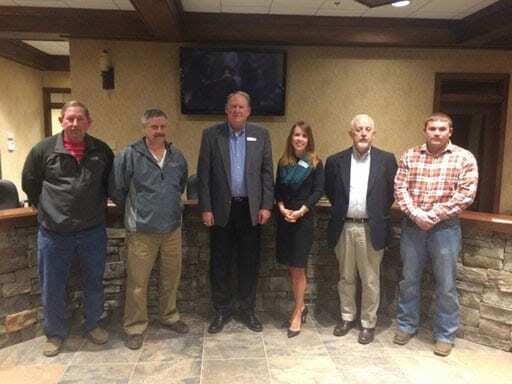 ELLIJAY, Ga. – Two coaches spoke during the Gilmer Board of Education’s (BOE) Public Comments this week on a policy change close to approval. The item is in its second reading this month for the BOE and is set for the vote on Thursday, March 21, 2019. The contention on the policy comes with changes to Community Coaches. The policy, IDFC Community Coaches, is seeing changes in requirements, pay, and eligibility for those wishing to serve, as noticed by the strikes and bold print in the policy. Those who spoke had each had one issue in common, though. The pay limit on community coaches, “lay coaches” as they are also called. First to speak, Softball Coach Kim Charles addressed the board saying that as a head coach, she had always wanted to make the major decisions for her team. She felt that the revision was restrictive to the teams who use lay coaches more. She advocated for these coaches calling them “great people” and “very involved in the community.” She went further saying she wanted to remain loyal to these lay coaches who have and will serve in sports programs to the benefit of the students involved. Former Head Softball Coach, Kim Charles speaks to Board of Education about a policy revision on community coaching. Charles said she didn’t want this to be a cut to current coaches, turning into a force to drive off those who have volunteered loyally over the years. She said they are the ones who have tried so hard to build and improve the kids when the head coaches need help. These coaches, said Charles, have proven themselves in their areas. She also pointed out that several of the sports that have seen success over the years have had long years of the same lay coaches, providing the stability needed to foster that kind of success. Second to speak, Track Coach Josh Snider echoed the feelings that restricting and limiting the community coaches of the county would only detriment the sports and those students involved. He noted that the track programs work with three lay coaches and go through certifications at their own costs to become certified for their positions. The revisions in this policy also require GHSA community coach training and a rules clinic and assessment to become certified to coach their desired sport. Snider also commented that he wanted to add to the policy that community coaches might also have their past experience in the sport with Gilmer Schools under consideration when they apply. When this is considered, Snider noted you might have a coach who meets the requirements but didn’t “mesh well” with the coaching staff or students in that sport. He further agreed with the sentiments spoken by Charles as he noted several sports who are seeing success and past lay coaches who have also been well received and went on to further and enhance their sports and areas. District Athletic Director Rodney Walker speaks in favor of the policy revisions involving community coaches. The third speaker, District Athletic Director Rodney Walker, began his address quoting a statistic of Gilmer Schools utilizing 75 percent of its coaches as certified staff coaches and 25 percent of them as lay coaches. Walker urged the board to move forward with the revisions. Though he said he had no issue with lay coaches, he noted that having so many puts the county at risk. He said he was thankful that the county had many willing to serve and admitted that there has been success with community coaching. Walker pointed out that the intent isn’t to get rid of lay coaches, instead limiting them in favor of certified personnel. Walker said, “There’s no way that a guy that goes to college, or a lady goes to college, and they train and they get paid to do this job. And then we’re bringing people off the streets, and they may be good people, they may be great people, great coaches. But they shouldn’t make the same thing as a certified personnel. That’s just not right.” Walker pushed for the limited pay saying that the county needs to hire the best qualified people to teach in the school and be a part of the programs. Ultimately, Walker said he is trying to take care of the system, to protect it. This issue is already in the second reading before the board, meaning that if citizens are wishing to speak at the meeting or weigh in on the subject they must sign up with the Superintendent before Thursday to be allowed to speak at the regular session. Additionally, citizens are encouraged to speak with board-members about how they want their district’s representative to vote. ELLIJAY, Ga. – Over the past two months, the Gilmer County Board of Education has listened to proposals from Kloud-12 on possible changes to their school system’s security. Stretching back further than that, even when planning the renovations of Gilmer High School, security increases have grown more accustomed to their spot in the forefront of discussion. The renovations saw the High School go from an open glass lobby with multiple ways into the school, to a single point, secured entrance. Not uncommon in today’s world where school shootings and threats are on the rise, this style of an entrance is already in Gilmer County at Clear Creek Middle School where visitors and parents are guided into the front office before gaining entrance to the school as a whole. Now, the Board of Education is moving again on the security front. A tentative approval came this week for the board to move forward with proposals from Kloud-12 to implement two new features into the school system. 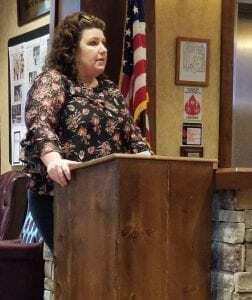 In her phrasing of recommending the motion, Gilmer County Charter School Superintendent Dr. Shanna Downs and the board indicated a 2-phase implementation. The first phase garnered the most support with changing the id badges of employees in the schools to incorporate an electronic button that they can use for instant communication. The button is flexibly programmed to the board’s desires for levels of alert and levels of notifications. For example a single press could immediately notify the school’s principal and key staff in case of a medical issue, fight, or some simple call for help, holding the button could signal could signal a real medical emergency notifying 911, and rapidly and repeatedly pressing the button would notify police and authorities for an active threat such as a shooter. This is just an example as Brent Coleman with Dooley Education Solutions representing the Kloud-12 service said the Board could set up the program however they wanted. The badges are not coded or restricted in any way, meaning that there is a possibility of accidental presses or “false alarms,” but Coleman said continuing changes to the system are combating that likelihood with the button recessed and set on an id badge instead of somewhere open. I was later noted that this could help if a teacher had a medical emergency and a student needed to push the button to call for help. Coleman has shared with the board over these two months his pitch for the service noting that in several of the recent shootings across America, an expedited response would have helped with response time and saved lives. The badge button not only notifies administration, but a proper input would immediately set alarms off across the school initiating an instant lockdown. The process takes seconds instead of the common way of finding a way to notify the office and then spreading the message to initiate the lockdown. 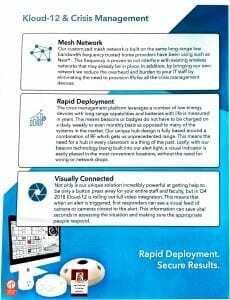 The system also operates on a “mesh network” allowing the system to operate on its own network outside of the wi-fi system and also to allow the system to work around outages. This means if one receiver should fail, others would be ready and able to pick up the signal and operate normally without interruption. This system for crisis management is designed to work alongside another system that the board saw hesitation on from staff members. Video integration is the Phase 2 of the motion. Separating the item, Downs said they were awaiting clarification for the board’s Tech Department on technical specifications, data storage, recurring licensing, support fees, and other areas. If clarification indicates what the board wants out of the project, it could increase video footage of the schools. 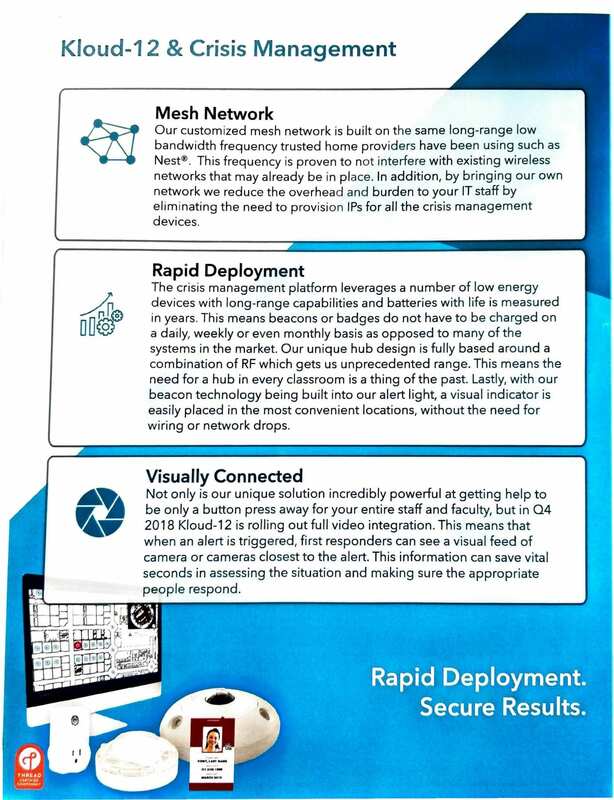 Each school already has cameras watching the hallways and common areas, but this change would see cameras moving into the classrooms as well. With pushback from teachers over being “watched” during the day, Coleman indicated that they could set the cameras to where only administration and select staff could access the feeds and could even give the teachers control over whether the cameras are recording or not. Meant to work on three levels, the cameras were presented to be used for instruction, safety, and protection. Over the discussions, it was presented that these cameras can be set to record only certain “quadrants of the feed to leave students out if a teacher wanted to make his or her lessons available for replay. This could also be used for snow days or other situations to make the feeds available to students at home. This instructional use could be set for availability by administration or by the teachers. On the safety and security aspect, the live feeds of the cameras are instantly turned on and set to record if the id badge button is pushed. Coleman noted this feed could be sent live to authorities in threat situations to give a look inside of the school and to aid in locating threats as the id badge system has a built-in location system. In other situations, the button press for a fight could instantly set the live feed to the School Resource Officer and principle for an immediate response without involving police or emergency responders. Aiding in discipline and averting disciplinary situations was a major point of the cameras safety aspect. Finally, the protection of teachers was presented by Coleman as a tool to aid in allegations against teachers as they could set their cameras to record their class time and student interactions. Providing video documentation to combat false allegations would allow many situations, according to Coleman to be prevented before they escalate. Throughout discussions, Gilmer High School Principal Carla Foley noted she had several teachers questioning why the need for additional cameras as they haven’t had a high amount of discipline issues. With the board moving forward on these proposals, they are looking at $132,347 for Phase 1 to begin as soon as the board receives its bidding or sole source documentation implementing the id badge system, and $451,224 for the camera system contingent upon satisfactory answers to the outstanding technical questions as well as the bidding or sole source documentation. With teachers potentially seeing these upgrades as early as Jan 2, they will only see them in Ellijay Elementary School, Mountain View Elementary, Clear Creek Middle School, and Gilmer High School. 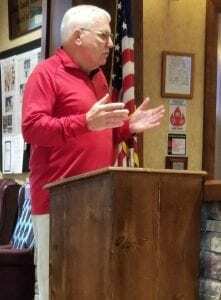 Downs stated the would not be putting the systems into Ellijay Primary School as they are planning to replace it in the near future, nor in Gilmer Middle School until they are certain of which classrooms will be utilized by the High School in the coming years. ELLIJAY, Ga. – The Gilmer County Board of Education has debated their plans for the future of Gilmer’s ESPLOST. Debating about the final item in plans for construction as well as bonding projects for the coming cycle. While no official motion could be heard for the item as it was only the Board’s work session, the did take time to debate the issue with one member having to conference call in to join the discussion. Three major points of the plans to continue the county’s ESPLOST into another cycle were agreed to during the meeting. With the results from the survey put forth by Gilmer County Charter School Superintendent Dr. Shanna Downs, the clear winner within the community became a Performing Arts Center. Collecting more votes than the other two options combined, the Performing/Fine Arts Center (on GHS Campus) reached 1,069 votes. The multi-use Sports Facility collected 684 votes and the Indoor Swimming Pool collected 282 votes. Downs presented this information to the Board on Monday, July 17, along with the three options for a final decision by the Board as a whole on which item to add to the ESPLOST referendum. An informal poll of the board went for the Arts Center with on Weaver as a dissenting vote. However, the final motion and decision will be made on Thursday, July 19, at 6 p.m. during their Regular Session meeting. The final vote will come on a final resolution drafted by the board’s attorney to include this as well as bonding and collection caps. Those other items were also discussed during the work session as the board will be looking to bond the project for a new Elementary School on the board’s Clear Creek property. The board indicated this project would be bonded while all of the other projects will be done as collections reach the necessary point for them. A maximum bonding of $15 million was placed, but Downs noted they could lower this later if the entire amount was not needed. The collection cap is an indication of the maximum amount collected by the ESPLOST during its cycle. Downs noted for the board that if they do not meet the maximum collection, there is no penalty, but if they do meet the maximum collection before the end of the cycle, they will be forced to stop collections early. Originally planning on a maximum of $25 million, the board discussion looked at the county’s growth and decided to stretch the maximum collection to $28 million to cover the potential for high growth in the county over the ESPLOST cycle. As the board put these notes to its lawyer, Attorney Herman Clark, they will be officially looking at their official “Call for Election” on Thursday night to meet an early August deadline to be put on the November ballot for citizens. 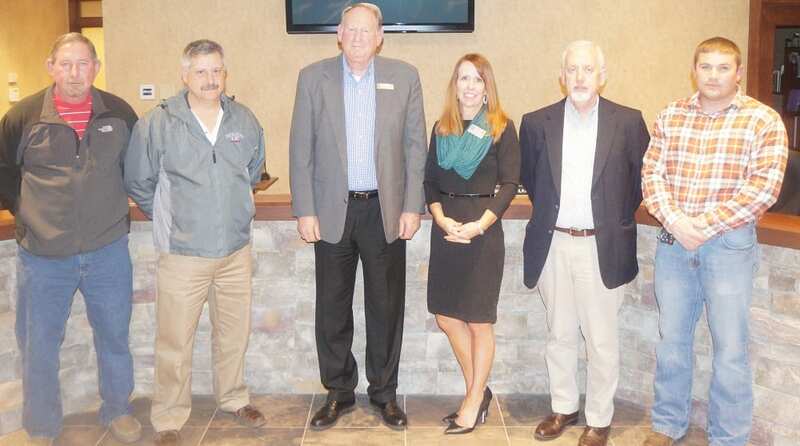 Gilmer County Schools is joining in a statewide celebration this week to salute the efforts of local school board members. This week of March 13-17, 2017, has been proclaimed School Board Appreciation Week in Georgia. 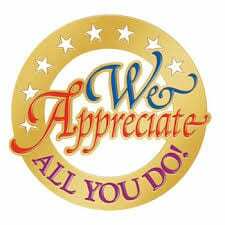 The week long observance calls attention to the contributions of local boards of education. “Citizens elect board members to represent our community’s voice on education matters and to set the vision for the school district. Our board spends countless hours fulfilling its responsibilities and working together to continually improve our education system. Our School Board represents a continuing commitment to local citizen control and decision-making in education,” said Superintendent Dr. Shanna Wilkes. As constitutional officers of Georgia, school board members are responsible for setting educational policies, employing school personnel, providing buildings and equipment, operating a transportation system and disbursing school funds. As community leaders, school board members serve as advocates for the children in our community and must study, evaluate and decide what actions are in the best interest of those students. The Georgia School Boards Association (GSBA) sponsors this celebration. The mission of GSBA is to ensure excellence in the governance of local school systems by providing leadership, advocacy and services, and by representing the collective resolve of Georgia’s elected boards of education. Please go to http://www.gilmerschools.com/board-of-education for more information. Every Child, Every Opportunity, Every Day! The Gilmer County School System does not discriminate on the basis of race, color, national origin, age, religion, creed, or disability in admission to its programs, services, and activities, in access to them, in treatment of individuals, or in any aspect of their operations. For additional information or referral to the appropriate system coordinator, contact the system superintendent’s office at 134 Industrial Blvd, Ellijay, Ga 30540 -(706) 276-5000. The official 2017-2018 Academic School Calendar has tallied votes online and been approved for Calendar 2. Calendar 2 was put forth by faculty and administration from the Ellijay Primary School and recieve a total 33.11% of the votes (249 votes) online by Gilmer County’s citizens. Though Superintendent Dr. Shanna Wilkes stated the calendar was relatively similar to this year’s one, there were some changes such as the first day of school occurring on Friday, August 4th, less early release days, and a later winter holiday beginning with a early release on December 20th. However, the approval came after some discussion among the Board members. Board Member Ronald Watkins suggested the Board put forth its own calendar option next year as well as looking at improving information on the voting process as he has received calls from citizens who missed the vote. Board Member Tom Ocobock asked why the school was starting so early in the year. Superintendent Dr. Shanna Wilkes offered that the early start allows the Schools to get the full 90 days in before the semester’s testing process. The calendar also allows full week breaks, pending weather days, for the schools’ spring break, winter break, and a full week off for Thanksgiving break. Dr. Wilkes stated the school’s governing councils and administrators provided the calendar options who seemed to have the common opinion. Members Ocobock and Watkins both requested again that the Board also put forth a calendar next year. Chairman Jim Parmer and Dr. Wilkes both suggested the request to be very doable and it seems the requests will be followed for next year’s process. Other options for calendars could include longer school days, which was shortly discussed but seemed to be quickly squashed due to athletic conflicts, inefficiency of student learning later in the day, and missed time for early release of certain students who travel with teams for events. The Board also discussed a proposal to increase incentives for bus drivers in Gilmer County through a bonus. The structure would have a $500 sign-on bonus for new drivers after completion of their CDL’s and 6-months of successful employment with the school system. The same would be given to coaches and club sponsors upon completion of CDL’s and 5 trips as well as adding a $300 annual supplement after the initial year for the club sponsor or a coach as long as they continue driving. The additional supplement would provide the coach or club sponsor as drivers while not taking a regular driver off of their routes and further requiring additional drivers to cover routes for that driver. 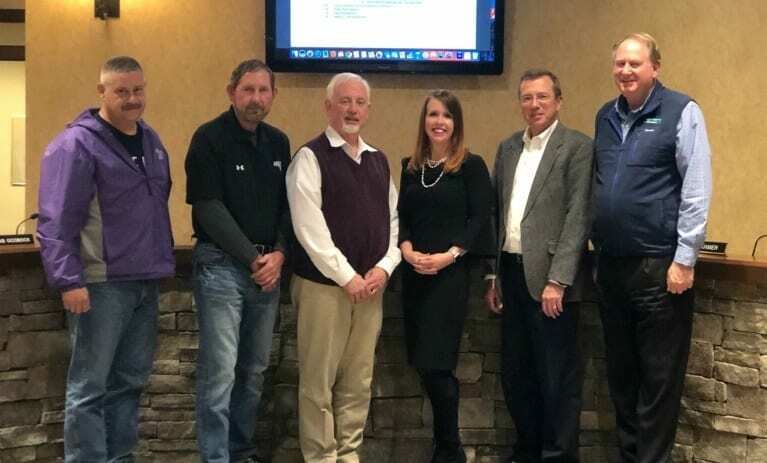 Also in the meeting, the Board approved the reappointment of Jody Holmes to the Gilmer County Library Board of Trustees as well as reappointing Chairman Jim Parmer as Legislative Delegate to the GSBA Summer Conference. As the meeting moved toward the Board’s regular Policy Review Section, Board Member Ronald Watkins made a suggestion that the Board consider changing BBA Board Officers to either hold 4 districts and have the Chairman be elected at large from the county or do away with districts and have all Board Members be elected openly from anywhere in the county. While no action was taken and the suggestion simply made as “food for thought,” the Board would have to consult legal council before any change be made to the election process. However, discussion from the Board indicated that the change would actually need to be voted on by citizens and not the Board of Education. For more information on the Board of Education’s February Meetings, check out the Policies for First Reading, Policies for Second Reading (Approved), Financial Report, 2010 ESPLOST Report, and 2015 ESPLOST Report. Dorsey’s Contract Extended to 2015, Parmer Objects!